Cycle Training – Try a Sportive! What is the best way to achieve a goal? The first step is to write it down. 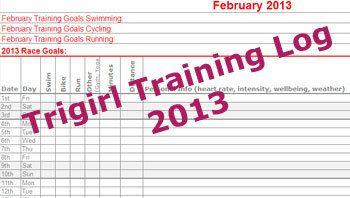 Trigirl’s FREE 2013 training log is now available to help you reach all of your triathlon objectives! With spaces to log your seasonal goals, monthly goals and daily workout tracking, you’ll remember what you’re striving toward and what steps you’re taking to get there. Take the first step to this year’s success here. Trigirl Announces Training Days for 2013! Trigirl Training Days for 2013 are now open for bookings. Perfect for the novice or improver triathlete, our women’s-only training days will help to build confidence in all three triathlon disciplines, plus transitions, training tips, nutrition and more! To learn more about Trigirl Training Days, read comments from past participants or to sign up, please visit our Training Days page here. Places are strictly limited. Book now to secure your place. Click here to book. Between the cold, rainy weather and the completion of the abnormally late London Triathlon, it might be time to admit that the triathlon racing season is over. But just because racing is finished for the year, it doesn’t mean that the training- or the fun- has to be. Click here to read our tips for autumn training- which sometimes means not ‘training’ at all. We’re always excited about new triathlon training opportunities, so we wanted to let you know about a new training series in north west London! 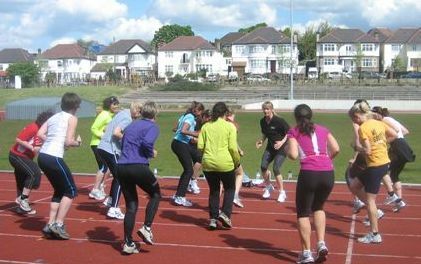 Willesden Sports Centre in Brent is now hosting triathlon training for men and women of all levels, with new sessions starting Tuesday 18th September 2012. Motivation – Where to Find It and How to Keep It! In our Spring Training Tips article, we discussed setting a goal that is challenging, attainable and exciting. In our latest article, triathlete Kristin Duffy shares her latest challenging and exciting goal- and how she stayed motivated to attain it. We recently received a question for our Ask the Experts panel regarding exercising and a healthy BMI (body mass index). While many struggle with trying to lose weight, this Trigirl is dealing with unhealthy weight loss and hopes to gain enough weight to get back to a healthy lifestyle, including exercise and triathlon training. No matter what your weight struggle may be, understanding BMI is a good way to ensure that your weight is on target to be the healthiest you can be. In her response, Dr Catherine Spencer-Smith, Physician in Sports & Exercise Medicine, offers advice on calculating BMI and what it means both for you as a triathlete and a healthy woman. Click here to read the conversation. If you’d like more personalised information on your sports health, Dr. Spencer-Smith is the founder of Sportdoc, a specialist sports medicine practice based in London, focusing on helping prevent, diagnose, treat and rehabilitate injuries as well as medical problems that are related to sport and exercise. How to stay fuelled on race day can get really confusing. Between carbs and protein, millilitres and grams, longer races and sprints, and conflicting research studies, there is a lot to process. Trying to weed through it all, triathlon nutrition may become even more daunting than that first open water swim. We’re going to try to make it easy. Check out our Beginner’s Guide to Race Day Nutrition for a breakdown of the calories you need, when you need them… and learn if you really need calories during your race at all. Cycling a Pain in the Saddle? Soreness, chafing, irritation, numbness… do these words conjure up the relationship that your lady parts have with your bike? Do you find yourself out of the saddle- not to spin out your legs or speed up a hill, but just to give your nether regions some relief? A long bike ride is a beautiful thing, but the pain that you’re experiencing may be leading you to question cycling at all. 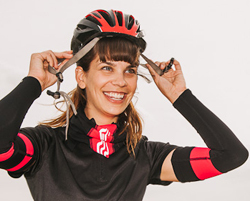 Check out our latest article, Saddle Soreness – What’s a Trigirl to Do? 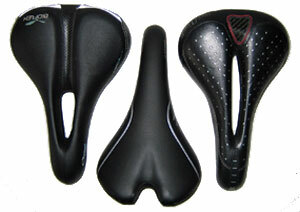 for ideas on relieving saddle pain once and for all! Triathlon Training Tips – Summer: Peak Weeks and Taper Time! Triathlon race season is here (despite the weather) so it’s time to train for peak fitness and to taper to get ready to race your best! Check out our latest triathlon training article, Training Tips – Summer, written especially to guide you in the weeks before your biggest summer race(s). Curious about what a Peak Phase is? Unsure of how to taper? Never heard of either? 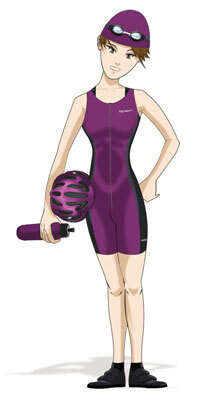 Trigirl’s summer training tips will help. And if you still have questions, please let us know. We are glad to share our own racing and training experiences or we’ll Ask the Experts to get you the answers you’re looking for! Packing your triathlon race bag is a big and important task. Did you remember your race belt? Have you packed your goggles? Use our Race Day Checklist as you pack to help stay organised and prepared. Of course, we sometimes forget things, too. 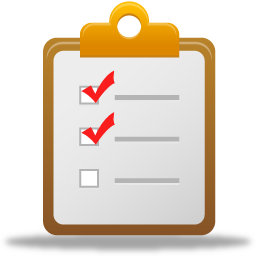 Is there anything that we’ve forgotten on our checklist? Anything that you like to pack that we’ve left out? 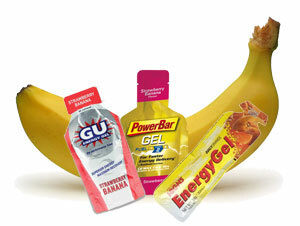 Share your race day must-haves with the Trigirl community in the comments section. Cycling Shoes- Which to Choose? 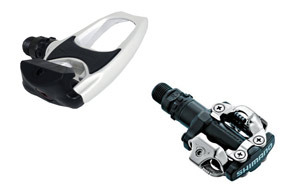 Ready to switch to clipless pedals for the first time? The world of shoes-cleats-pedals can seem a bit intimidating, but it doesn’t have to be! Check out our latest advice on why cycling-specific shoes are a good idea, what kinds of cleats and pedals are available and more. Already using clipless pedals? Which system do you use? 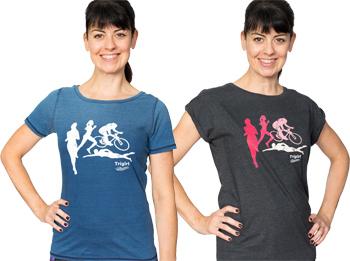 Here at the Trigirl office, we’ve debated the options, but we’d like to hear what you think. Let us know and help other Trigirls decide what will work best for them. It’s the time of year when most of us get really excited about training. At last, it’s getting (a little!) warmer and race season is almost here! In all of the excitement, don’t forget the importance of recovery. Taking the time to let your body repair itself is as important as training to help you cross that finish line in style. Schedule at least one easy day and one day off a week to keep yourself fresh, engaged and injury-free. 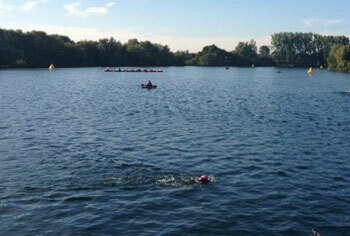 Saturday’s Open Water Swim Workshop was a great success! Seven ladies showed up at Hampstead Mixed Ponds for good weather and an educational couple of hours. Everyone had positive feedback and really learned a lot. 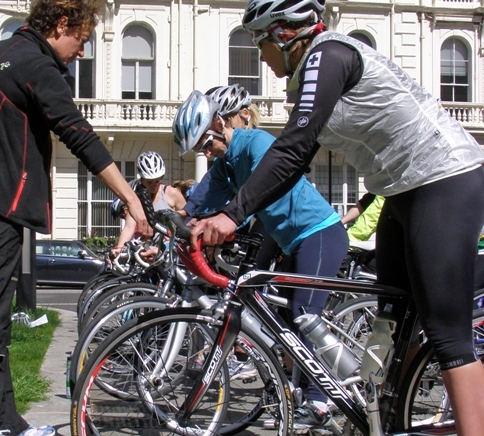 This workshop helped prepare for future races and was the foundation for proper technique and race strategies. It is still very important to continue to practice and we urge competitors to do so in open water. Although we do not have any more Trigirl workshops planned, please feel free to contact us and another workshop or lessons can be arranged. 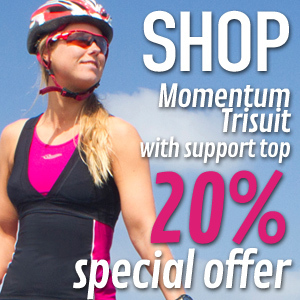 For more information, email info@trigirl.co.uk. Calling all female novice triathletes. 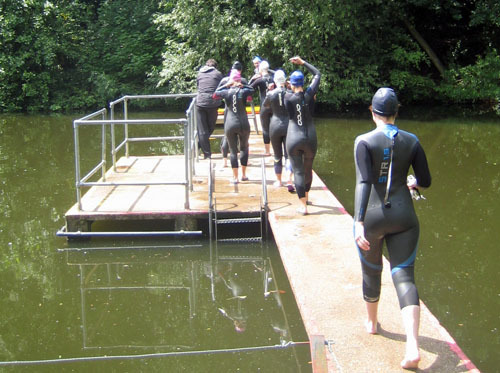 Please join us for our 2 hour open water session in the scenic Hampstead Heath Ponds in London. This workshop aims to build your confidence when swimming in open water and prepare you for your first race. This workshop will be divided into an hour in the water and one hour of theory and Q&A. It will be coached by Terence Collins, of Tri For Fitness, a highly experienced coach for both swim and triathlon discipline. 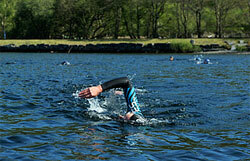 We will also have a range of Zone3 wetsuits on site for you to try on and test swim. Places are limited, please book in advance. Our training days are run by expert coaches in carefully selected leisure facilities. For a small extra fee, on-site childcare can be arranged for mums who might otherwise be unable to attend. See our training day page for more details about these events. Sign up for our newsletter and receive our FREE Training Log, helping to put you on the path to triathlon success! A grass-roots federation working together to provide life-saving services and build a future where domestic violence is not tolerated. All rights reserved. The Trigirl © brand is copyright protected by Teamgeist Ltd, London.